If you’re not familiar with Dickbutt, it’s an internet meme; ’nuff said about that (Google it if you’re interested). Given the name, and the potential smells associated with said name, any wariness about the odor of an air freshner such as this one is fully understood, but it smells fine, honest! 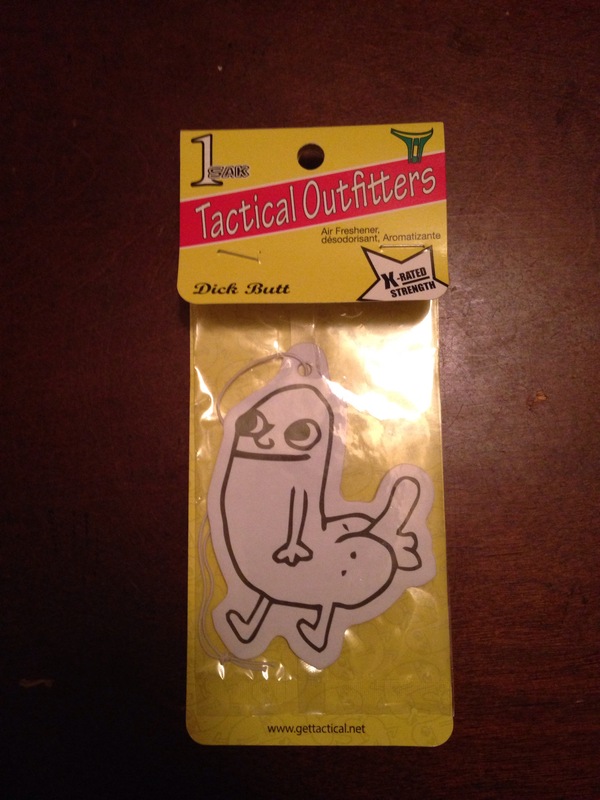 Just a generic, ‘fresh’-smelling air freshner… that looks like Dickbutt.